Easter Chick or No Chick? Keeping chickens isn’t much different than keeping pets – they need to be fed and watered every day and, yes, you have to deal with poop. However, most local veterinarians won’t check chickens, so you’ll also need to monitor your birds to know if a health intervention is needed. Handling and socializing your chickens from an early age makes it easier to get them to cooperate, but it also makes it more fun for you to enjoy their antics and unique personalities. If you’re thinking about getting chickens, the first thing to ask yourself is “why?” For human food production, self-sufficiency, selling eggs, entertainment, education for kids or simply as pets? Owning chickens can be all of these things. Your “why” will help you determine how much you want to invest, as well as guide you to what kind of chickens and coop you will need. Everything from a few backyard chickens to 4-H projects and farms with several hundred chickens can be considered “small”. Just because a flock is small, does not mean that stewardship, efficient production, safe handling, and other rules can be ignored. Keeping a small flock of chickens for home use, a practice commonplace during our grandparents’ time, is becoming popular again. If you are considering this, you will need to educate yourself about poultry feeding, health and egg production, as well as food safety. There are many University publications on the web. The University of Florida’s Institute of Food and Agricultural Sciences Extension has several articles on keeping chickens. UF/IFAS Extension has a section devoted to backyard poultry , Basic Guide for the Backyard Chicken Flock, which includes information about brooding, housing, feeding and nesting needs of birds. 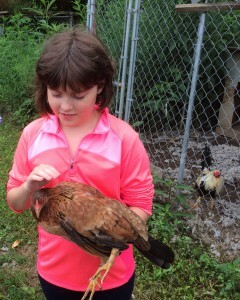 Other sites include: Escambia County Backyard Poultry Guide and Urban Farming Chickens 101. Other universities with excellent Extension resources to help with backyard poultry include: Mississippi State; Penn State; Purdue Extension; Colorado State Extension; a University of Minnesota and The University of Illinois Extension lists 33 resources on poultry. Another useful site is Illini PoultryNet. Taking care of the chicks provides a fun way for kids to develop a sense of responsibility, while teaching them work ethics and healthy eating habits. 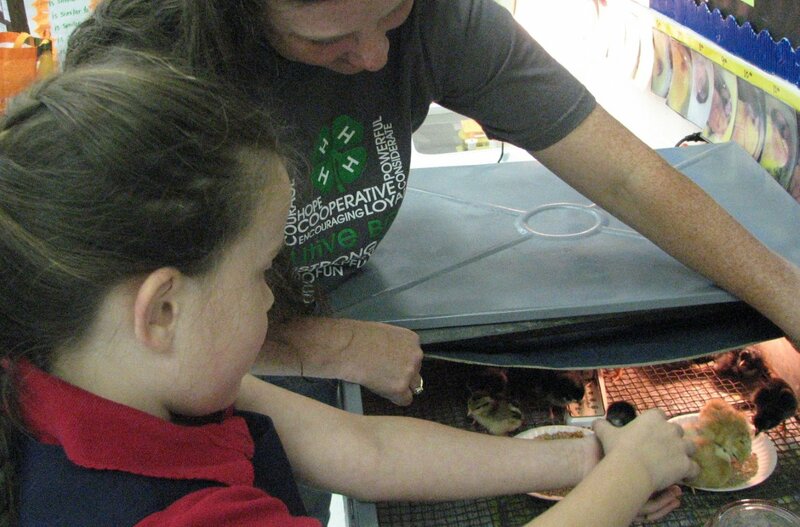 Other ways your children could participate in 4-H and learn about poultry include: The 4-H & Farm Bureau Ag-in-the Classroom Embryology School Enrichment program offered in many counties. There are other activities that youth can engage in including poultry production, judging of poultry and poultry products, preparing foods using poultry and public presentations to inform others about chickens and poultry. Youth can compete in activities at the county, district, state and national levels. 4-H is one of the nation’s most diverse organizations and includes people from all economic, racial, social, political, and geographic categories. There are no barriers to participation by any young person. Participants are given the opportunity to engage in activities that hold their personal interest, while being guided by adult volunteers. The local 4-H Agent is a youth development professional who provides direction and program leadership as part of the nationwide Cooperative Extension System. For more information, contact your local UF/IFAS Extension Office or check out our web-site. Recognition is a basic human need and can help build positive self esteem if handled in the right way and is an important part of the Florida 4-H Program. Whitney Cherry and Karen Miliffe shared tips for club leaders on showing recognition in 4-H clubs during the March Make a Difference Monday session earlier this month. If you missed it, you can view the recorded session at http://florida4h.org/madmondays. Recognition is more meaningful when it occurs soon after it is earned and is related to a specific task. It can take multiple forms– appropriate recognition varies depending on age, past experience, family lifestyle, community and cultural heritage. Recognition motivates people to excel and take risks and in 4-H, it is the acknowledgement and affirmation of personal growth of an individual or group (such as a club). Awards are simply the things we give people or groups to symbolize our recognition of their accomplishments or effort. Participation in educational experiences (certificates, t-shirts, participation ribbons). The requirements for recognition for participation in a 4-H event are well publicized and easy to achieve. These types of recognition can be earned many times and are usually not expensive, but valued. Progress toward self-set goals. It is important for youth to learn to set goals and work towards them. 4-H project books are one way that we provide feedback on self-set goals. The club annual program is a tool for setting the collective goals of the club. As volunteers, we can assist youth with this by reviewing their goals frequently during the 4-H year, identifying what they have accomplished so far and helping them determine their next steps toward a goal. Excelling in peer competition (judging contests, speaking contests, exhibits, animal exhibits and shows, portfolios, project book contests). Competition has long been a component in the 4-H program. 4-H strives to make competition an educational process and an opportunity to teach youth life skills. Peer competition is competing against one another’s peers. Numerous competition exist form the local club level, county, district, state, regional and national. 4-H also provides opportunities for clubs to compete against other clubs with the Club Standards of Excellence and Community Pride programs. Keep in mind that competition is not suitable for all ages (members 5-7 years old) and competition rules and procedures should be clear. Excelling in cooperation within a group (team or club awards or media recognition for service projects). From the beginning 4-H has encouraged young people to work together to learn. Cooperation engages young people in group experiences that are interdependent– face-to-face interactions, individual and group responsibility, group skills development. Cooperation involves everyone in the group and uses mutually agreed upon goals. Recognition is a significant incentive to further learning. When properly used, it inspires young people to belong. Through caring adults and peers, in an inclusive and safe environment, recognition helps meets the needs of young people. Youth become and stay active in 4-H because they benefit. 4-H provides many opportunities for volunteers to make a difference in the lives of young people. If every young person could step into 4-H, imagine all the resourceful problem solvers, skilled workers, and capable leaders they’d become. That future is in our reach if we all lend our time and talents to guide the young people who will create it. Make the investment of a lifetime- become a 4-H volunteer, and inspire the next generation! The 4-H embryology project focuses on the science of embryology, which is a branch of biology that deals with the development of an embryo from the fertilization of the ovum to the fetus stage. This 4-H project is often conducted in elementary schools, but can also be done as part of a 4-H club project. 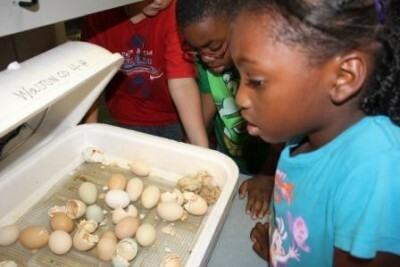 4-H volunteers, or project leaders, help youth set up incubators filled with fertilized eggs and teach them how to maintain adequate conditions for the incubators. While waiting for the eggs to hatch, youth learn the science of how embryos develop. Finally the day they’ve all been waiting for…HATCH DAY! Students and teachers experience a day of melodious chirping, fluffy chicks pecking about, and if they’re lucky they may even see a few hatching in action. While this day is bittersweet, who says the 4-H Embryology Project experience has to end here? That is the exact question that Walton County 4-Her Justin Bolen asked himself when he got involved in the 4-H embryology project. At age 9, Justin stepped up and expanded his 4-H poultry project into a business. He discovered a demand for free range chicken eggs in his local community and build his business around filling that need. Justin took out a loan with his family to purchase the necessary equipment to start his own business. He learned skills such as feed management, environment maintenance, record keeping, health care for poultry, and effects on hatch rate. Today, at age 17, Justin currently has 22 customers with a whopping 47 dozen eggs per delivery every other week. 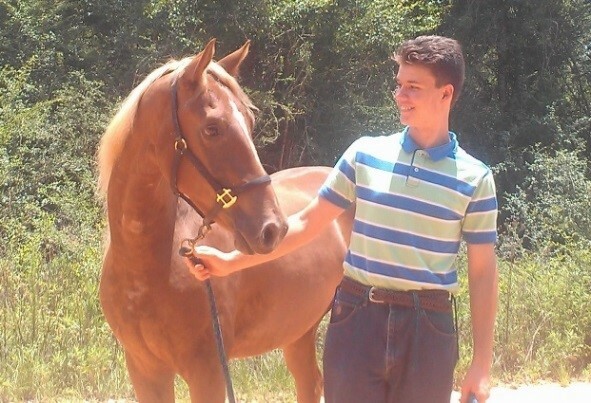 In order to give back to 4-H, Justin has agreed to provide the Walton County 4-H Embryology Project with fertilized eggs to support the program throughout the county so that other youth can not only learn about the science of embryology, but the business opportunities as well! Justin’s success story is proof that with “EGG-ceptional” dedication and determination, other youth can have the same experience he did in 4-H and become an entrepreneur themselves! As a 4-H volunteer, you can share your personal interests and expertise in a variety of subjects including gardening, shooting sports, robotics, animal science, sewing/crafting, public speaking, foods and nutrition, and much more. In 4-H, you can leverage your experience and skills to help a young person find their own passions and interests and possibly even ignite a future career! 4-H is an opportunity we wish every young person could have because research shows it is a step forward. More than 60 million of our nation’s most successful statesmen, business leaders, and scientists credit 4-H with setting them on a positive, productive path. When you share your experiences with 4-Hers, you make a difference by helping youth become caring and competent citizens with a desire to contribute to their communities. To find out how to become a 4-H volunteer, contact your local extension office or visit http://florida4h.org/volunteers. Justin and his horse, Trey. 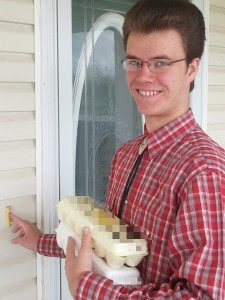 Justin delivering eggs to customers. This article was written by Jena Brooks, Walton County 4-H Agent brooks15@ufl.edu. Have you ever attended a meeting for the first time and felt a little out of place? Do you remember that nervous feeling; the pit in your stomach of not knowing anyone, not sure if you belonged? Creating a welcoming environment in 4-H clubs and events helps members and volunteers have a sense of belonging. A sense of belonging is one of the Essential Elements of Positive Youth Development. Last month, Georgene Bender and Jon Mayer shared ideas for creating a welcoming environment in your 4-H club during our February Make a Difference Monday session. 1. Welcome new members– have a welcome committee for your club. This committee can be a group of members or even a 4-H family that is willing to come to the meeting early to welcome any new members. They could even prepare a welcome packet with 4-H enrollment information, club brochure, calendar, 4-H pen or pencil, or even a club t-shirt. You can ask your 4-H agent for some ideas or items to include in the welcome packet. There are many inexpensive “4-H trinkets” for $1.00 or less available at the 4-H Mall. Assigning 4-H families to mentor new 4-H families is also a great way to mentor and orient new members. Plan “get acquainted games”- it’s difficult to feel comfortable in a group when you don’t know people well. Leading get acquainted activities during club meetings (especially at the beginning of the club year) will help establish a friendlier club environment. Ice breakers, get acquainted games, or even roll calls that ask questions about member’s interests (answer roll by making the sound of your favorite animal) can help members get to know each other better. Encourage engagement– a great way to get new members involved is to use the 4-H Clover worksheet to help plan the club year. If the member joins after the club planning meeting, get them involved in a committee. Smaller committees are less intimidating and can help new members feel like they belong and have something to contribute. What will you do this year to help make new members feel welcome? Leave us a comment below! 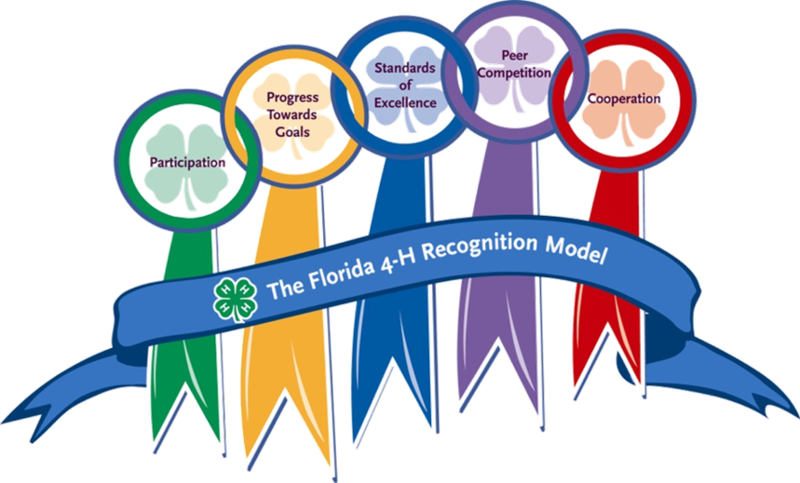 To learn more about creating welcoming environments in 4-H clubs, you can view the full, 1-hour workshop online at http://florida4h.org/madmondays.